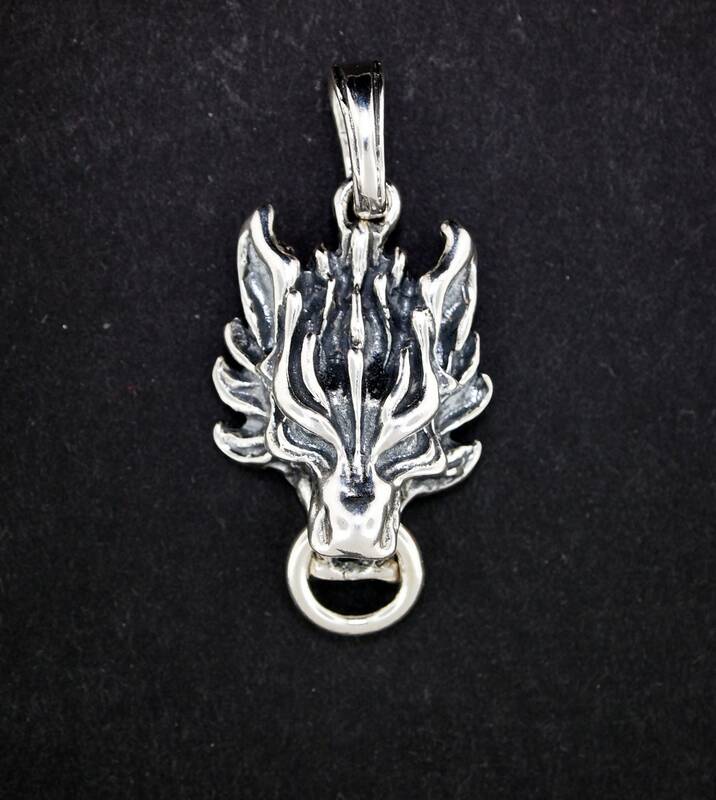 This wolf pendant is based on the Cloud Strife wolf from Final Fantasy; Advent Children movie. I was attending an anime convention here in Montreal and saw a cool design for a ring based on the anime. I'm an RPG fan, and have always loved the awesome jewellery. The problem; it was a cheap chinese knockoff in pewter, and I'm very allergic! The solution; make my own in silver but better! And here we are! The pendant is in sterling silver and measures 1.5" long. the ring is free moving and can be removed if you prefer. I love it, very nice detail! I wear this all the time. I simply love it!